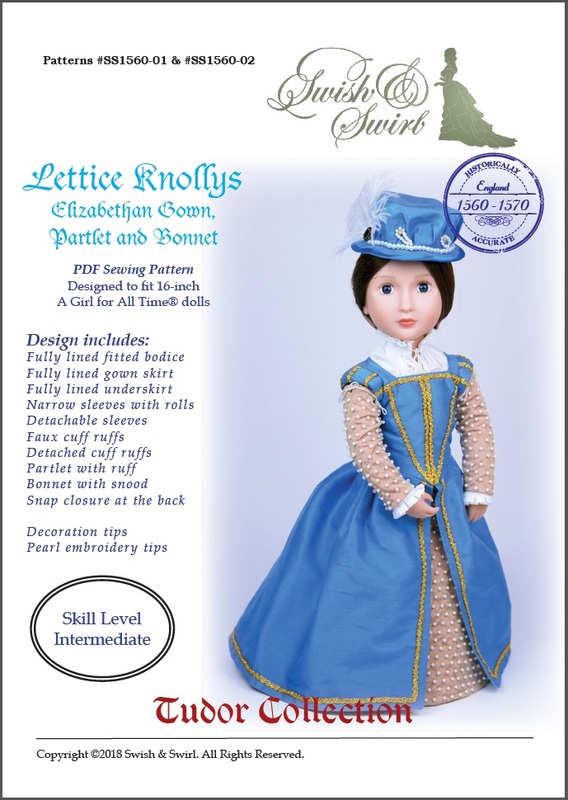 6 months ago I published a pattern for an Elizabethan gown called Lettice Knollys. 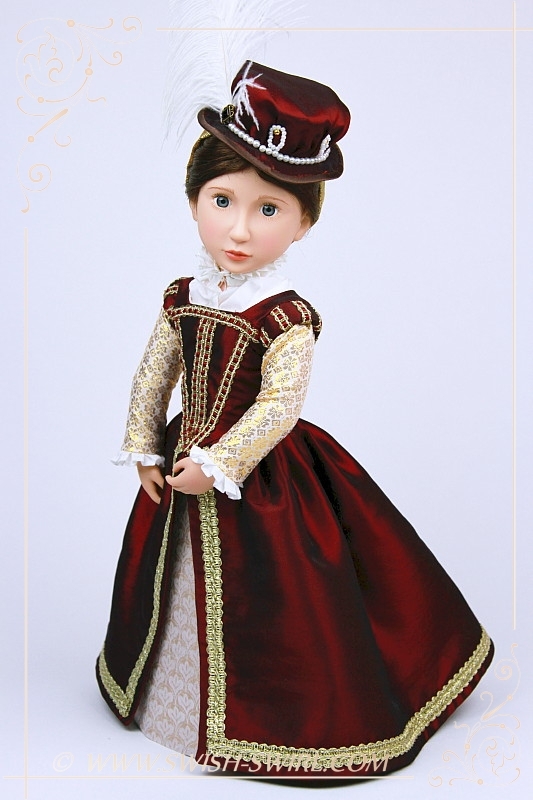 This pattern was designed with the new A Girl for All Time doll in mind – Elinor, Your Elizabethan Girl. 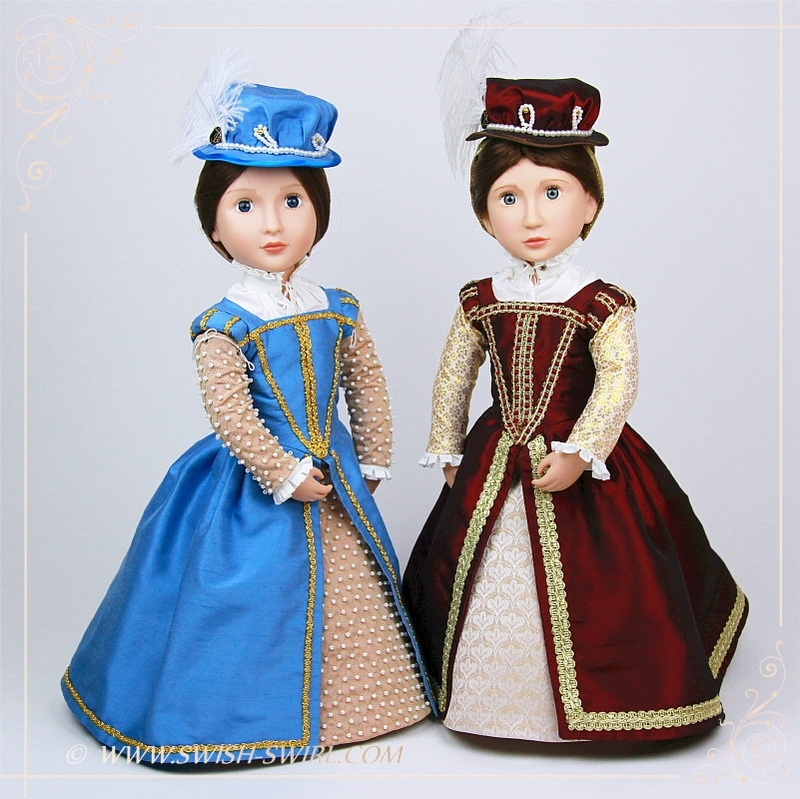 The inspiration for the Lettice Knollys gown came from the paintings and the fashions of the 1560-1570s, the time before the gowns got a strange (and, let’s admit it, not very flattering!) 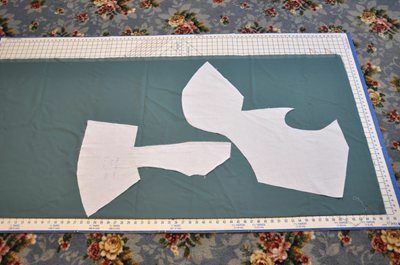 shape with skirts supported by cartwheel-like French farthingale. 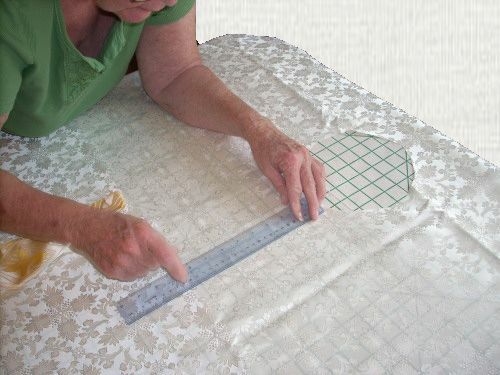 As always, every detail counts. 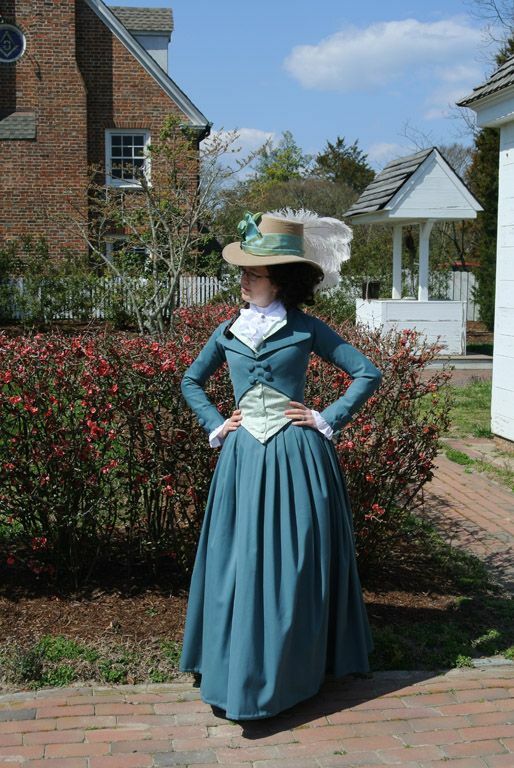 The gown has a fitted bodice with a long pointed front which can be decorated with different trims. 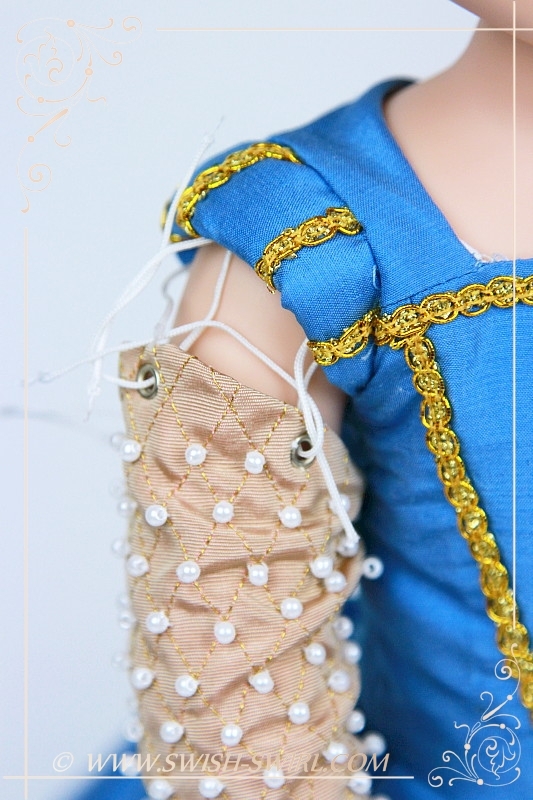 It has long fitted sleeves with stuffed rolls. 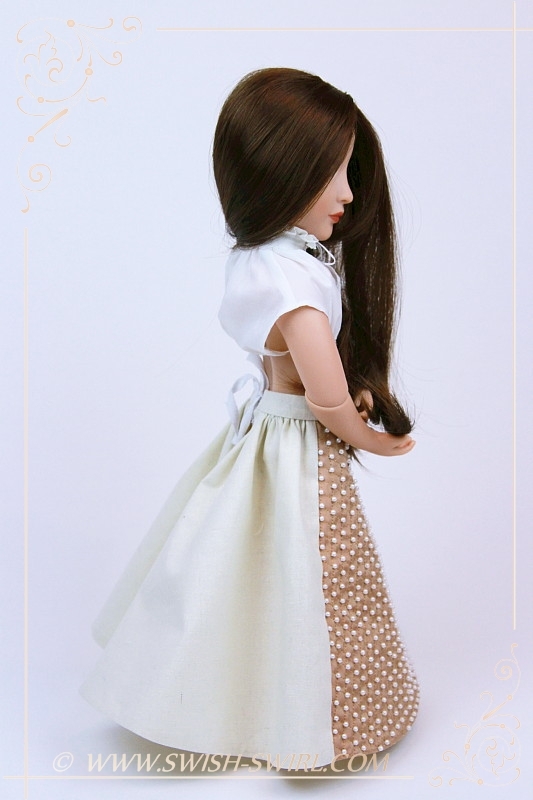 The skirt is fully lined and decorated with a trim as well. 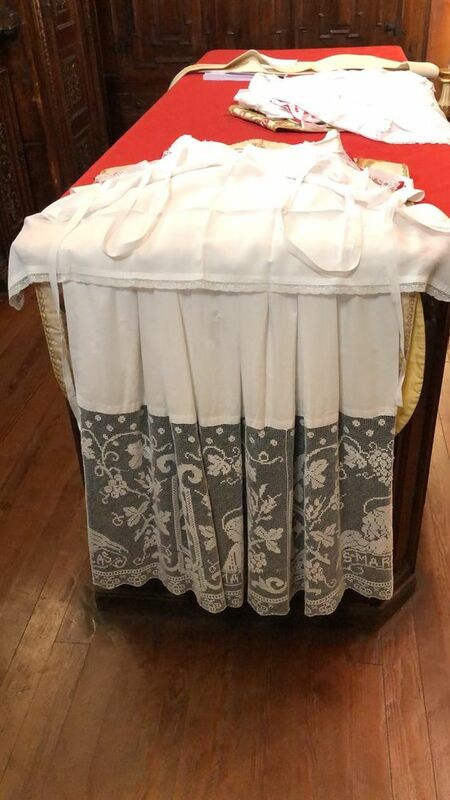 There is also a fully lined underskirt with a front insert that is visible in the gown opening which can be decorated with golden stitching and pearls. 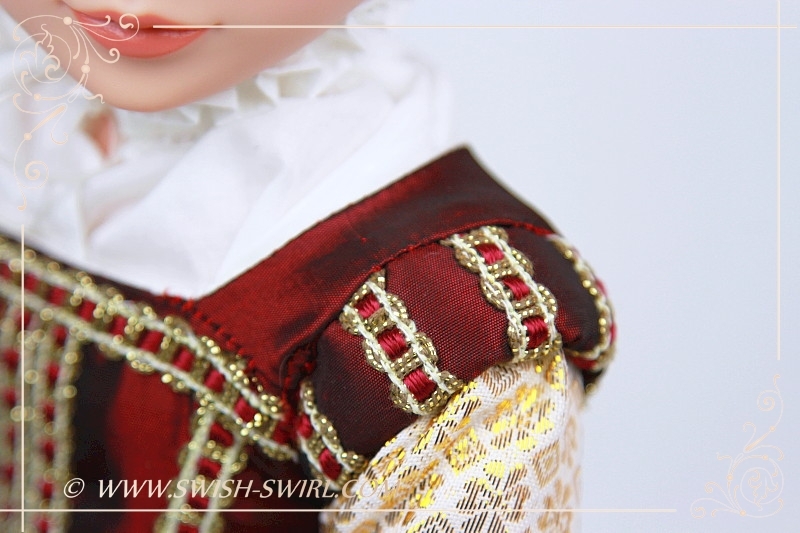 Basically, Elizabethan gowns can never have too much decoration! 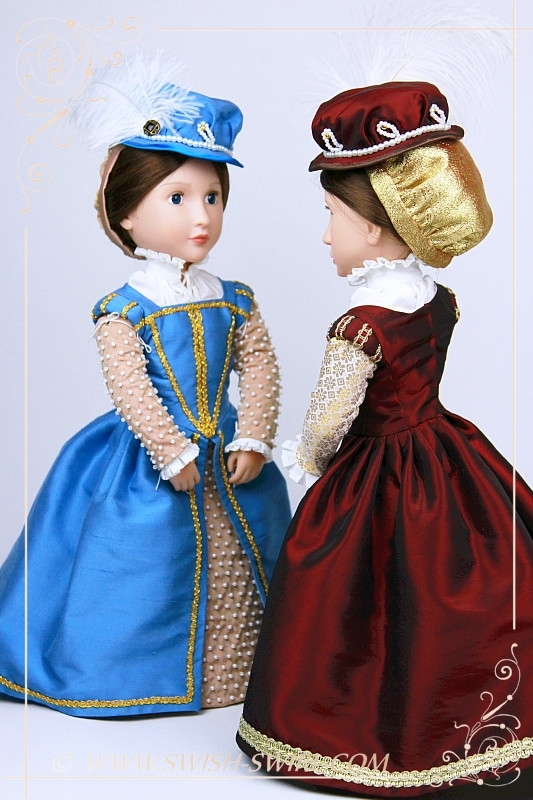 The stuffed rolls (or wings) were a popular feature in Elizabethan gowns. 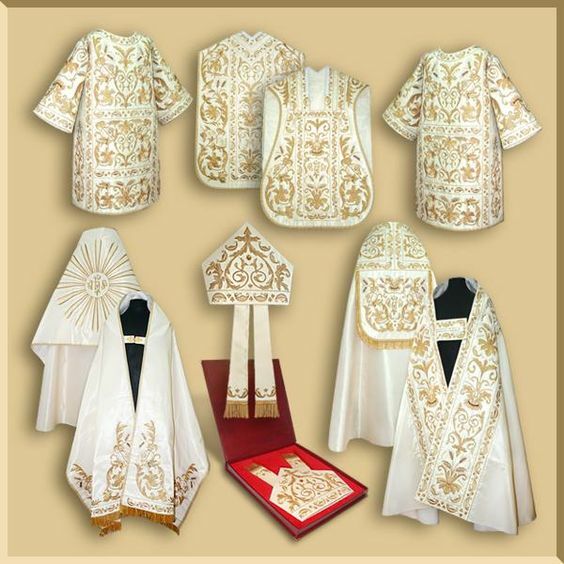 They came in various shapes and were lavishly decorated. 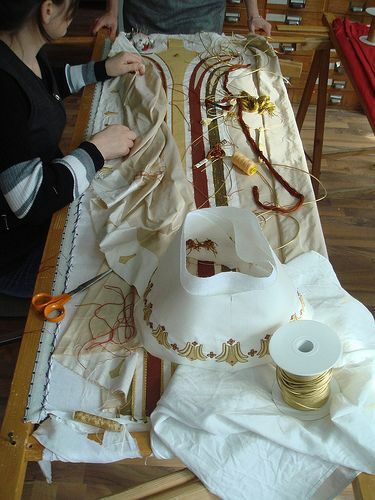 Mostly, they had strings attached to them so that lots of different, easily interchangeable long sleeves could be used with the same gown. 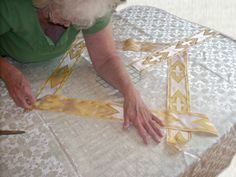 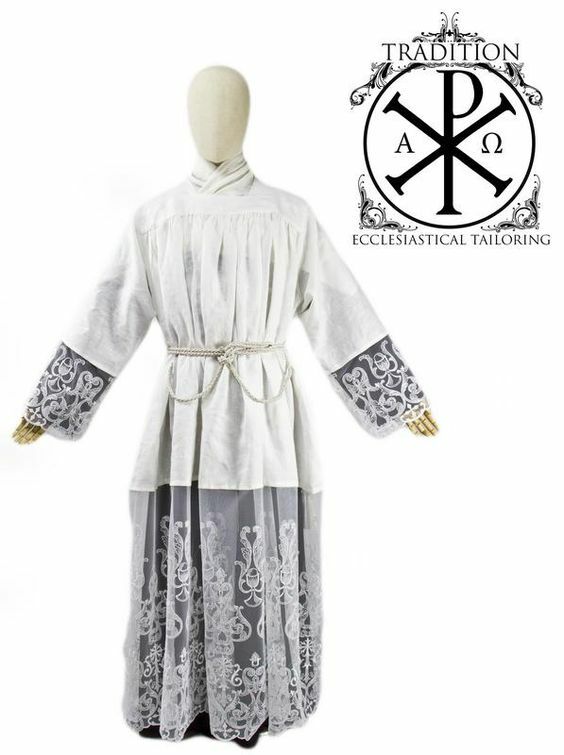 Both options – for permanently attached long sleeves and for detachable ones – are present in this pattern. 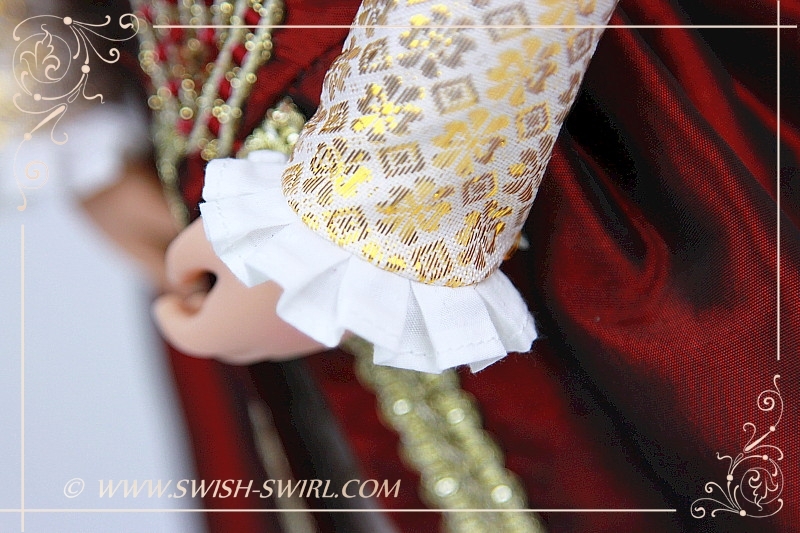 Historically, the cuff ruffs in Elizabethan gowns were either part of a smock (shift) worn underneath, or they could be detached ruffs that would be put on separately. 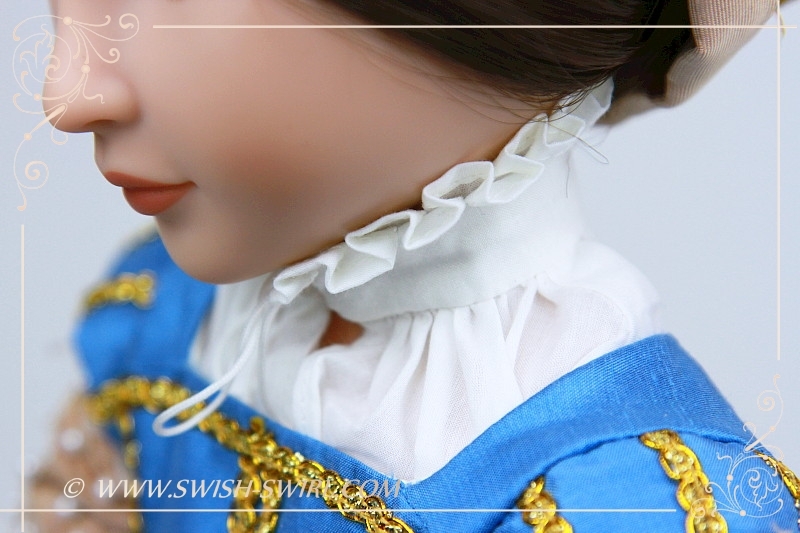 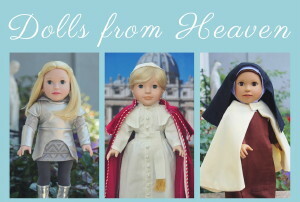 In this pattern three options are offered: for the plain narrow sleeves with or without the attached ruffs (attached ruffs are not exactly historical but certainly easier for dolls to put on!) 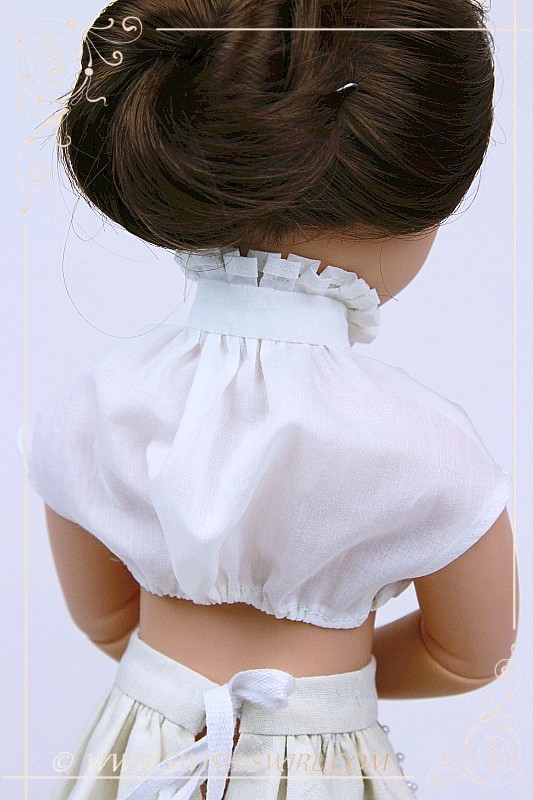 and also detached ruffs that can be worn with plain sleeves. 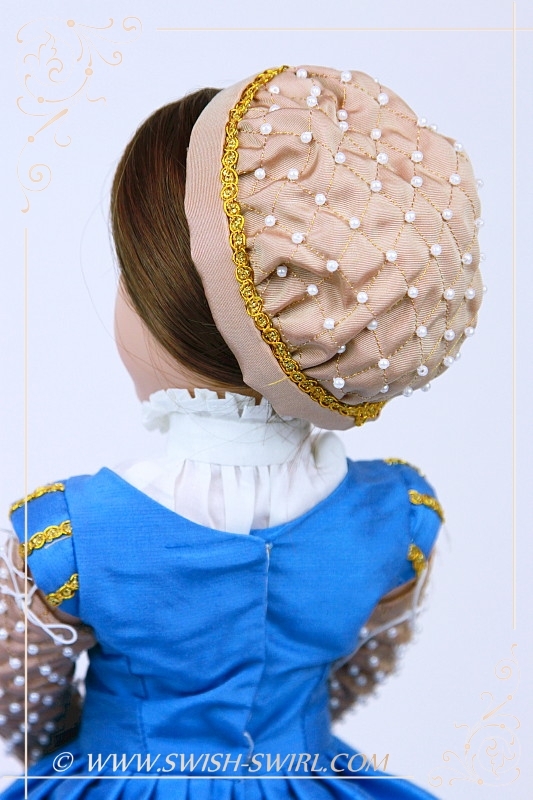 The gown is completed with a partlet with a ruff and an Elizabethan bonnet with a snood to hide the hair at the back. 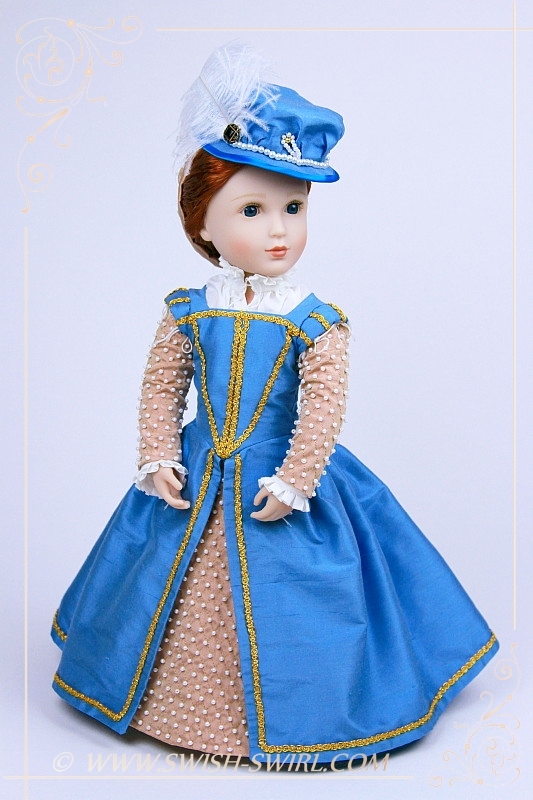 The partlet is a sleeveless garment popular in the 16th century which was worn over the neck and shoulders, or to fill in a low neckline. 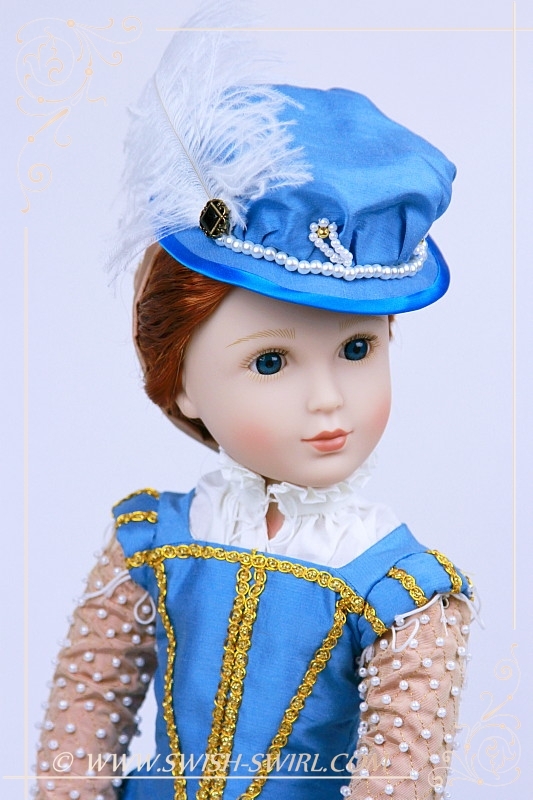 It had a low standing collar and a ruff and could be plain or decorated with jewels or pearls.